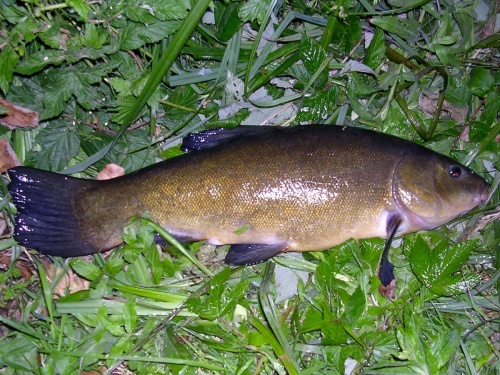 Tench vary from bronze through olive green to almost black, depending upon habitat. 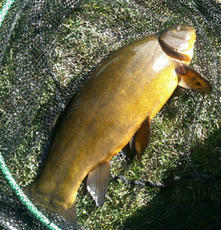 Ponds, canals and slow flowing rivers with muddy beds and plenty of weed are ideal habitat for Tench. These are warm weather fish and in winter they tend to become dormant. 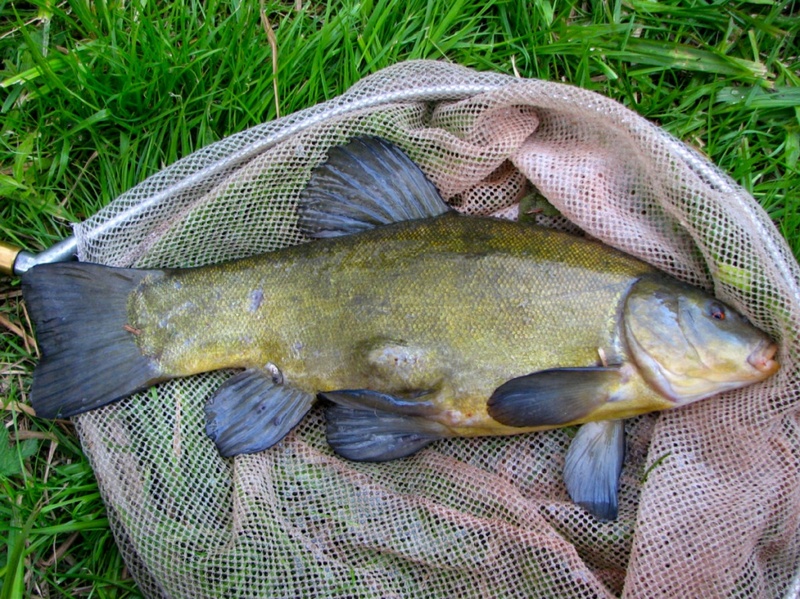 Tench do not usually live as long as carp and they tend to grow more slowly, but specimens more than ten years old are quite common. 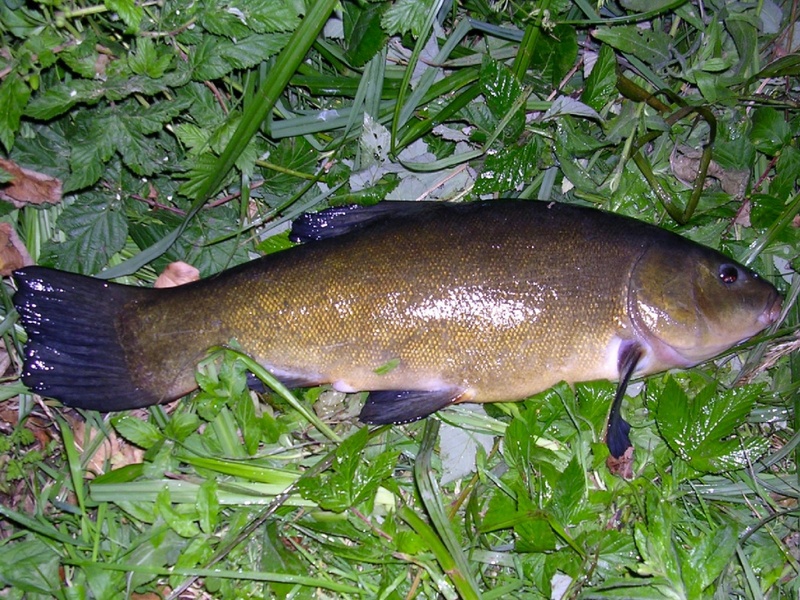 They feed almost exclusively in the sediment, taking chironomid larvae, worms and other mud-dwelling creatures. Common and widespread in England, less records from elsewhere in Britain. Records are quite frequent but scattered in Leicestershire and Rutland coming mainly from larger rivers, including the lower Soar; apparently well represented (though under recorded) in lakes within VC55. 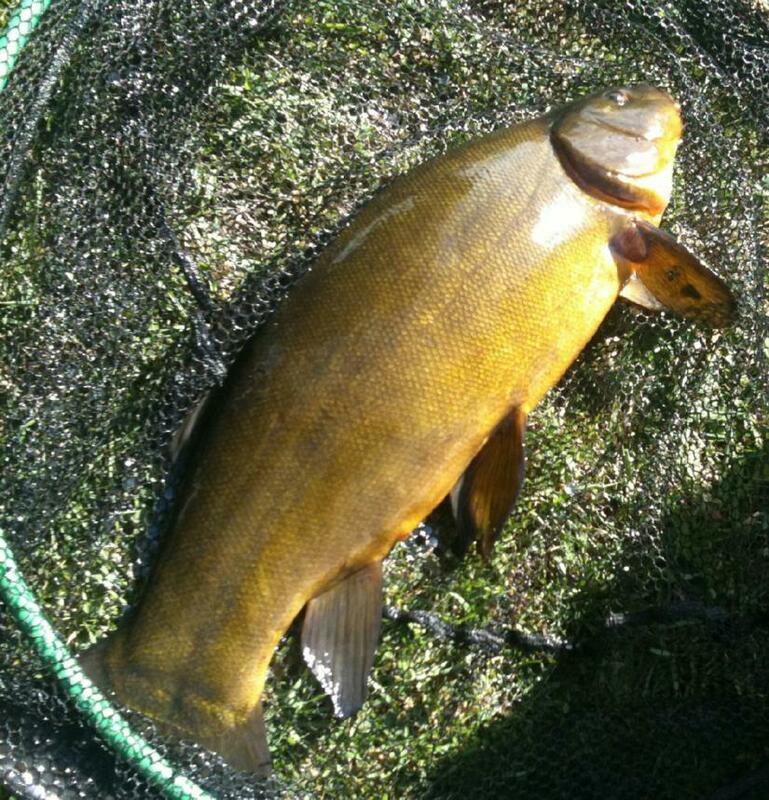 Tench have also been noted in Kirby Muxloe Castle moat.